By turns poignant and hilarious, Hammond takes listeners from the set of Saturday Night Live, where he was the show’s longest tenured cast member, to the drug-ridden streets of Harlem and into the twisting corridors of his own unflaggingly humorous consciousness. Mingling behind-the-scenes stories from television’s best loved comedy series with a dark look inside a world-class funnyman, God, If You’re Not up There, I’m F*cked is a book sure to resonate with anyone who shares a talent for performance, a love of comedy, or a desire to know how an artist can climb from the deepest despair to the very top of his profession. To hear Hammond tell stories from the book, live from New York’s Comedy Cellar, check out That’s Clinton!, also available on Audible. 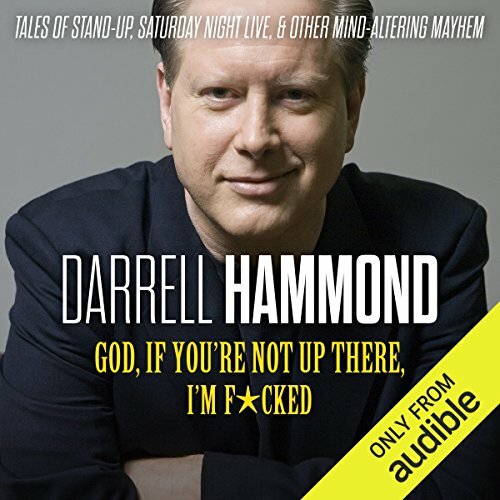 ©2011 Darrell Hammond (P)2018 Audible, Inc.